Bennett, J.W., Grinberg, I. and Rappe, A.M. Nonmonotonic composition dependence of the dielectric response of Ba1- x Ca x ZrO3. Chem. Mar. 20, 5134-5138 (2008). Butts, C.A., Swift, J., Kang, S., Di Costanzo, L., Christianson, D.W., Saven, J.G. and Dmochowski, I.J. Directing noble metal Ion chemistry within a designed ferritin protein. Biochem. 47, 12729-12739 (2008). Goldberg, S.D., Soto, C.S., Waldburger, C.D. and DeGrado, W.F. Determination of the physiological dimer interface of the PhoQ sensor domain. J. Mol. Biol. 379, 656-665 (2008). Guo, L., Chowdhury, P., Glasscock, J.M. and Gai, F. Denaturant-induced expansion and compaction of a multi-domain protein: IgG. J. Mol. Biol. 384, 1029-1036 (2008). Heinrich, M.C., Levental, I., Gelman, H., Janmey, P.A. and Baumgart, T. Critical exponents for lLine tension and dipole density difference from lipid monolayer domain boundary fluctuations. J. Phys. Chem. B 112, 8063-8068 (2008). Kashiwagi, T., Mu, M., Winey, K., Cipriano, B., Raghavan, S.R., Pack, S., Rafailovich, M., Yang, Y., Grulke, E. and Shields, J. Relation between the viscoelastic and flammability properties of polymer nanocomposites. Polymer 49, 4358-4368 (2008). Levental, I., Cebers, A. and Janmey, P.A. Combined electrostatics and hydrogen bonding determine intermolecular interactions between polyphosphoinositides. J. Am. Chem. Soc. 130, 9025-9030 (2008). Levental, I., Janmey, P.A. and Cebers, A. Electrostatic contribution to the surface pressure of charged monolayers containing polyphosphoinositides. Biophys. J. 95, 1199-1205 (2008). Park, S.J. and Kim, Y.J. Size-dependent shape evolution of silica nanoparticles into hollow structures. 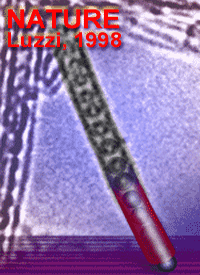 Langmuir: the ACS journal of surfaces and colloids 24, 12134-12137 (2008). Percec, V., Peterca, M., Dulcey, A.E., Imam, M.R., Hudson, S.D., Nummelin, S., Adelman, P. and Heiney, P.A. 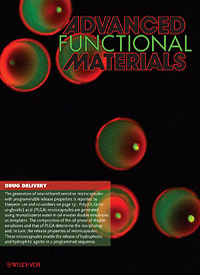 Hollow spherical supramolecular dendrimers. J. Am. Chem. Soc. 130, 13079 (2008). Peterca, M., Percec, V., Imam, M.R., Leowanawat, P., Morimitsu, K. and Heiney, P.A. Molecular structure of helical supramolecular dendrimers. J. Am. Chem. Soc. 130, 14840-14852, doi:10.1021/ja806524m (2008). Querner, C., Fischbein, M.D., Heiney, P.A. and Drndic, M. Millimeter-scale assembly of CdSe nanorods into smectic superstructures by solvent drying kinetics. Adv. Mat. 20, 2308-2314, doi:10.1002/adma.200800125 (2008). Torrens, O.N., Zheng, M. and Kikkawa, J.M. K-momentum dark exciton energy in carbon nanotubes. Phys. Rev. Lett. 101, 157401 (2008). Zhao, M.H., Bonnell, D.A. and Vohs, J.M. Effect of ferroelectric polarization on the adsorption and reaction of ethanol on BaTiO3. 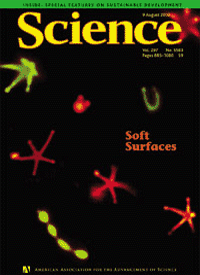 Surface Sci.e 602, 2849-2855 (2008). Xu, C., Ohno, K., Ladmiral, V. and Composto, R.J. Dispersion of polymer-grafted magnetic nanoparticles in homopolymers and block copolymers. 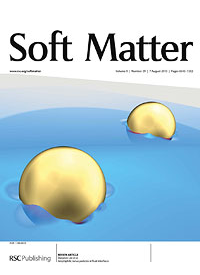 Polymer 49, 3568-3577, doi:doi:10.1016/j.polymer.2008.05.040 (2008). Arratia, P.E., Gollub, J.P. and Durian, D.J. Polymeric filament thinning and breakup in microchannels. Phys. Rev. E 77, 036309, doi:10.1103/PhysRevE.77.036309 (2008). Biancaniello, P.L., Kim, A.J. and Crocker, J.C. Long-time stretched exponential kinetics in single DNA duplex dissociation. Biophys. J. 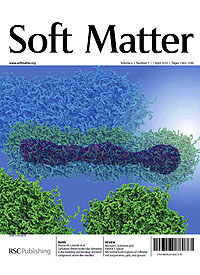 94, 891-896, doi:doi:10.1529/biophysj.107.108449 | (2008). Bonnell, D.A. and Garra, J. Scanning probe microscopy of oxide surfaces: atomic structure and properties. Reports on Progress in Physics 71, doi:10.1088/0034-4885/71/4/044501 (2008). Börner, H.G., Smarsly, B.M., Hentschel, J., Rank, A., Schubert, R., Geng, Y., Discher, D.E., Hellweg, T. and Brandt, A. Organization of self-assembled peptide-polymer nanofibers in solution. Macromolecules 41, 1430-1437, doi:10.1021/ma0714060 (2008). Calhoun, J.R., Liu, W., Spiegel, K., Dal Peraro, M., Klein, M.L., Valentine, K.G., Wand, A.J. and DeGrado, W.F. Solution NMR structure of a designed metalloprotein and complementary molecular dynamics refinement. Structure 16, 210-215 (2008). Cerda, J.F., Koder, R.L., Lichtenstein, B.R., Moser, C.M., Miller, A.F. and Dutton, P.L. 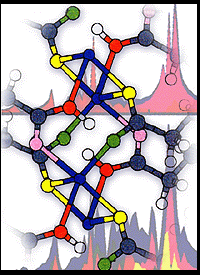 Hydrogen bond-free flavin redox properties: managing flavins in extreme aprotic solvents. Org. & Biomolecular Chem. 6, 2204-2212 (2008). Coelho, J.F.J., Carvalho, E.Y., Marques, D.S., Popov, A.V., Percec, V. and Gil, M.H. Influence of the isomeric structures of butyl acrylate on its single-electron transfer-degenerative chain transfer living radical polymerization in water Catalyzed by Na2S2O4. J. Polym. Sci. : Part A: Polym. Chem. 46, 6542-6551 (2008). Coelho, J.F.J., Carvalho, E.Y., Marques, D.S., Popov, A.V., Percec, V., Gonçalves, P. and Gil, M.H. Synthesis of poly (ethyl acrylate) by single electron transfer-degenerative chain transfer living radical polymerization in water catalyzed by Na2S2O4. J. Polym. Sci. : Part A: Polym. Chem. 46, 421-432 (2008). Davies, P.K., Wu, H., Borisevich, A.Y., Molodetsky, I.E. and Farber, L. Crystal chemistry of complex perovskites: New cation-ordered dielectric oxides Ann. Rev. Mater. Res. (Invited) 38, 11.11-11.33 (2008). Driscoll, J.A., Keyes, P.H., Heeg, M.J., Heiney, P.A. and Verani, C.N. Influence of the apical ligand in the thermotropic mesomorphism of cationic copper-based surfactants. Inorg. Chem. 47, 7225-7232, doi:10.1021/ic8005162 (2008). Duncan, T.V., Ghoroghchian, P.P., Rubtsov, I.V., Hammer, D.A. and Therien, M.J. Ultrafast excited-state dynamics of nanoscale near-infrared emissive polymersomes. J. Am. Chem. Soc. 130, 9773-9784 (2008). Duncan, T.V., Song, K., Hung, S.T., Miloradovic, I., Nayak, A., Persoons, A., Verbiest, T., Therien, M.J. and Clays, K. Molecular symmetry and solution-phase structure interrogated by hyper-Rayleigh depolarization measurements: elaborating highly hyperpolarizable D2-symmetric chromophores. Angew. Chem. Int. Ed Engl 47, 2978-2981 (2008). Duzhko, V., Aqad, E., Imam, M.R., Peterca, M., Percec, V. and Singer, K.D. Long-range electron transport in a self-organizing n-type organic material. Appl. Phys. Lett. 92, 113312-113323, doi:10.1063/1.2894591 (2008). Fischbein, M.D. and Drndic, M. Electron beam nanosculpting of suspended graphene sheets. Appl. Phys. Lett. 93, doi:10.1063/1.2980518 (2008). Grinberg, I., Suchomel, M.R., Davies, P.K. and Rappe, A.M. Predicting morphotropic phase boundary locations and transition temperatures in Pb-and Bi-based perovskite solid solutions from crystal chemical data and first-principles calculations J. Appl. Phys. 98, 94111 (94111-94110) (2005). Guiton, B.S., Wu, H. and Davies, P.K. Neutron powder diffraction of (Nd7/12Li1/4) TiO3 nano-checkerboard superlattices. Chem. Mater. 20, 2860-2862 (2008). Guo, G., Qin, F., Yang, D., Wang, C., Xu, H. and Yang, S. Synthesis of platinum nanoparticles supported on poly (acrylic acid) grafted MWNTs and their hydrogenation of citral. Chem. Mater. 20, 2291-2297, doi:10.1021/cm703225p (2008). Hammer, D.A., Robbins, G.P., Haun, J.B., Lin, J.J., Qi, W., Smith, L.A., Ghoroghchian, P.P., Therien, M.J. and Bates, F.S. Leuko-polymersomes. Faraday Discussions 139, 129 (2008). Han, Y., Ha, N.Y., Alsayed, A.M. and Yodh, A.G. Melting of two-dimensional tunable-diameter colloidal crystals. Phys. Rev. E 77, 41406, doi:10.1103/PhysRevE.77.041406 (2008). Ifkovits, J.L., Padera, R.F. and Burdick, J.A. Biodegradable and radically polymerized elastomers with enhanced processing capabilities. Biomed. Mater 3, 034104 (2008). Johnson, R.R., Johnson, A.T.C. and Klein, M.L. Probing the structure of DNA- carbon nanotube hybrids with molecular dynamics. Nano Lett 8, 69-75 (2008). Jung, Y., Lee, S.-H., Jennings, A.T. and Agarwal, R. Core−Shell Heterostructured Phase Change Nanowire Multistate Memory. 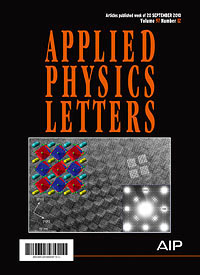 Nano Letters 8, 2056-2062, doi:10.1021/nl801482z (2008). Klein, M.L. and Shinoda, W. Large-scale molecular dynamics simulations of self-assembling systems. Science 321, 798-800 (2008). Kolpak, A.M., Li, D., Shao, R., Rappe, A.M. and Bonnell, D.A. Evolution of the structure and thermodynamic stability of the BaTiO3 (001) surface. Phys. Rev. Lett., 036102 (036101-036104) (2008). Lee, K.-C. and Liu, A.J. New Proposed mechanism of actin-polymerization-driven motility. Biophys. J. 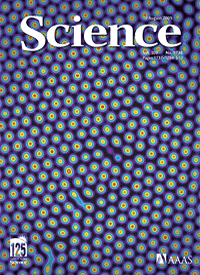 95, 4529-4539, doi:10.1529/biophysj.108.134783 (2008). Lee, S.-H., Jung, Y. and Agarwal, R. Size-dependent surface-induced heterogeneous nucleation driven phase-change in Ge2Sb2Te5 nanowires. 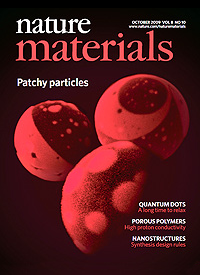 Nano Letters 8, 3303-3309, doi:10.1021/nl801698h (2008). Lehmann, A., Lanci, C.J., Petty II, T.J., Kang, S.-G. and Saven, J.G. 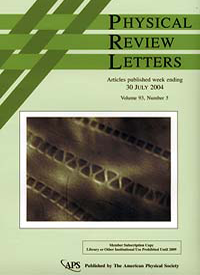 Computational protein design, in Protein Folding and Misfolding and Aggregation; Classical Themes and Novel Approaches (ed V. Munoz) 74-79 (Royal Society of Chemistry, 2008). Lehmann, A. and Saven, J.G. Computational design of four-helix bundle proteins that bind nonbiological cofactors. Biotech. Progress 24, 74-79 (2008). Li, D. and Bonnell, D.A. Patterning ferroelectric surfaces, in Ann. Rev. .Materials (D.R. Clarke, ed. (2008). Li, D., Zhao, M.H., Garra, J., Kolpak, A.M., Rappe, A.M., Bonnell, D.A. and Vohs, J.M. Direct in situ determination of the polarization dependence of physisorption on ferroelectric surfaces. 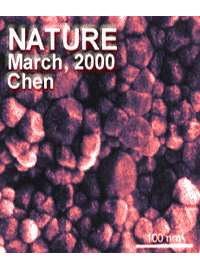 Nature Materials 7, 473-477 (2008). Lligadas, G., Ladislaw, J.S., Guliashvili, T. and Percec, V. Functionally terminated poly (methyl acrylate) by SET-LRP initiated with CHBr3 and CHI3. J.Polymer Sci., Part A, Polymer Chem. 46, 278-288, doi:10.1002/pola.22379 (2008). Lligadas, G. and Percec, V. SET-LRP of acrylates in the presence of radical inhibitors. J. Polymer Sci., Part A, Polymer. Chem. 46, 3174-3181, doi:10.1002/pola.22635 (2008). Lligadas, G. and Percec, V. Ultrafast SET-LRP of methyl acrylate at 25oC in alcohols. J. Polymer Sci. Part B: Polymer Physics 46, 2745-2754 (2008). Lligadas, G. and Percec, V. Alkyl chloride initiators for SET-LRP of methyl acrylate. J. Polymer Sci. Part a-Polymer Chemistry 46, 4917-4926, doi:10.1002/pola.22844 (2008). Lligadas, G. and Percec, V. A comparative analysis of SET-LRP of MA in solvents mediating different degrees of disproportionation of Cu(I)Br. J. Polymer Sci. Part a-Polymer Chem. 46, 6880-6895, doi:10.1002/pola.22998 (2008). Lligadas, G., Rosen, B.M., Bell, C., Monteiro, M.J., Percec, V. and Lodge, T.P. The effect of Cu (0) particle size on the kinetics of SET-LRP in DMSO and Cu-mediated radical polymerization in MeCN at 25oC. Macromolecules 41, 8365-8371, doi:10.1021/ma8018365 (2008). Lligadas, G., Rosen, B.M., Monteiro, M.J. and Percec, V. Solvent choice differentiates SET-LRP and Cu-mediated radical polymerization with non-first-order kinetics. Macromolecules 41, 8360-8364, doi:10.1021/ma801774d CCC: (2008). Ma, Z., Sharp, K.A., Janmey, P.A. and Finkel, T.H. Surface-anchored monomeric agonist pMHCs alone trigger TCR with high sensitivity. PLoS Biol 6, e43 (2008). Marx, V.M., Girgis, H., Heiney, P.A. and Hegmann, T. Bent-core liquid crystal (LC) decorated gold nanoclusters: synthesis, self-assembly, and effects in mixtures with bent-core LC hosts. J. Mat. 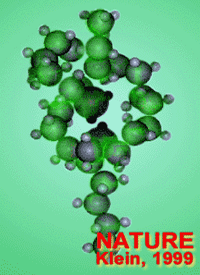 Chem, 18, 2983-2994, doi:10.1039/b802554a (2008). McAllister, K.A., Zou, H., Cochran, F.V., Bender, G.M., Senes, A., Fry, H.C., Nanda, V., Keenan, P.A., Lear, J.D., Therien, M.J., Blasie, J.K. and DeGrado, W.F. Using alpha-helical coiled-coils to design nanostructured metalloporphyrinarrays. J. Am. Chem. Soc. 130, 11921-11927 (2008). Moore, D.T., Berger, B.W. and DeGrado, W.F. Protein-protein interactions in the membrane: sequence, structural, and biological motifs. Structure 16, 991-1001 (2008). Moser, C.C., Chobot, S.E., Page, C.C. and Dutton, P.L. Distance metrics for heme protein electron tunneling. Biochem. Biophys. Acta 1777, 1032-1037 (2008). Mu, M., Walker, A.M., Torkelson, J.M. and Winey, K.I. Cellular structures of carbon nanotubes in a polymer matrix improve properties relative to composites with dispersed nanotubes. 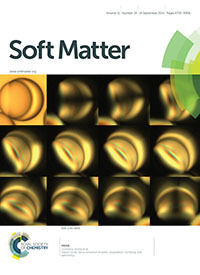 Polymer, doi:doi:10.1016/j.polymer.2008.01.036 | (2008). Nguyen, P.A., Soto, C.S., Polishchuk, A., Caputo, G.A., Tatko, C.D., Ma, C., Ohigashi, Y., Pinto, L.H., DeGrado, W.F. and Howard, K.P. pH Induced Conformational change of influenza M2 protein C-terminal domain. Biochem. 47, 9934-9936 (2008). Nikiforov, M.P., Zerweck, U., Milde, P., Loppacher, C., Park, T.H., Uyeda, H.T., Therien, M.J., Eng, L. and Bonnell, D. The effect of molecular orientation on the potential of porphyrin- metal contacts. Nano Lett 8, 110-113 (2008). Percec, V., Peterca, M., Yurchenko, M.E., Rudick, J.G. and Heiney, P.A. Thixotropic twin-dendritic organogelators. Chem. Eur. J. 14, 909-918, doi:10.1002/chem.200701273 (2008). Percec, V., Rudick, J.G., Peterca, M. and Heiney, P.A. Nanomechanical function from self-organizable dendronized helical polyphenylacetylenes. J. Am. Chem. Soc. 130, 7503-7508, doi:10.1021/ja801863e (2008). Percec, V., Rudick, J.G., Peterca, M., Yurchenko, M.E., Smidrkal, J. and Heiney, P.A. Supramolecular structural diversity among first-generation hybrid dendrimers and twin dendrons. Chem. Eur. J. 14, 3355-3362, doi:10.1002/chem.200701658 (2008). Querner, C., Fischbein, M.D., Heiney, P.A. and Drndic, M. Millimeter-scale assembly of CdSe nanorods into smectic superstructures by solvent drying kinetics. Adv. Mater. 20, 2308-+, doi:10.1002/adma.200800125 (2008). Reidel, R. and Chen, I.-W. Ceramic Science and Technology. Vol. 1, Strucrtures (Wiley-VCH, 2008). Rosen, B.M., Huang, C. and Percec, V. Sequential Ni-catalyzed borylation and cross-coupling of aryl halides via in situ prepared neopentylglycolborane. Org. Lett. 10, 2597-2600 (2008). Rosen, B.M. and Percec, V. Implications of monomer and initiator structure on the dissociative electron-transfer step of SET-LRP. J. Polymer Sci., Part A, Polymer Chem. 46, 5663-5697 (2008). Rudick, J.G. and Percec, V. Nanomechanical function made possible by suppressing structural transformations of polyarylacetylenes. Macromol. Chem. Phys. 209, 1759-1768 (2008). Rudick, J.G. and Percec, V. Induced helical backbone conformations of self-organizable dendronized polymers. Acct. Chem. Res. 41, 1641-1652 (2008). Ruiz, S.A. and Chen, C.S. Emergence of patterned stem cell differentiation within multicellular structures. Stem Cells 26, 2921 (2008). Ruiz, S.A. and Chen, C.S. Using microfabrication to engineer cellular and multicellular architecture, micro and nanoengineering of the cell microenvironment: Technologies and applications. Artech House Series: Engineering in Medicine & Biolog 8, 139-159 (2008 ). Sahoo, S., Chung, C., Khetan, S. and Burdick, J.A. Hydrolytically degradable hyaluronic acid hydrogels with controlled temporal structures. Biomacromolecules 9, 1088-1092, doi: 10.1021/bm800051m (2008). Saven, J.G. Computational approaches to protein designm inProtein Engineering Handbook (Stefan Lutz and Uwe Bornscheuer, eds.) John Wiley, NY (2008). Saven, J.G. Computational approaches to protein engineering, in Computational Structural Biology (Manuel C. Peitsch and Torsten Schwede, eds.) John Wiley, NY (2008). Shcherbina, M.A., Chvalun, S.N. and Percec, V. A comparative analysis of self-assembly in poly (methacrylates) with bulky side substituents of different molecular masses in the solid state and in solutions. Polymer Sci. Series A 50, 166-173, doi:10.1134/S0965545X08020119 (2008). Shu, J.Y., Tan, C., DeGrado, W.F. and Xu, T. New design of helix bundle peptide- polymer conjugates. 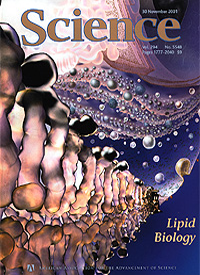 Biomacromolecules 9, 2111-2117 (2008). Sniadecki, N.J., Lamb, C.M., Liu, Y., Chen, C.S. and Reich, D.H. Magnetic microposts for mechanical stimulation of biological cells: Fabrication, characterization, and analysis. Rev. Sci. Instru. 79, 044302 (2008). Stouffer, A.L., Acharya, R., Salom, D., Levine, A.S., Di Costanzo, L., Soto, C.S., Tereshko, V., Nanda, V., Stayrook, S. and DeGrado, W.F. Structural basis for the function and inhibition of an influenza virus proton channel. Nature 451, 596-599 (2008). Stouffer, A.L., Ma, C., Cristian, L., Ohigashi, Y., Lamb, R.A., Lear, J.D., Pinto, L.H. and DeGrado, W.F. The interplay of functional tuning, drug resistance, and thermodynamic stability in the evolution of the M2 proton channel from the influenza A virus. Structure 16, 1067-1076 (2008). Strachan, D.R., Johnston, D.E., Guiton, B.S., Datta, S.S., Davies, P.K., Bonnell, D.A. and Johnson, A.T.C. Real-time TEM imaging of the formation of crystalline nanoscale gaps. Phys. Rev. Lett. 100, 56805 (2008). Tian, F., Yu, Y.Y., Wang, C.C. and Yang, S. Consecutive morphological transitions in nanoaggregates assembled from amphiphilic random copolymer via water-driven micellization and light-triggered dissociation. Macromolecules 41, 3385-3388, doi:10.1021/ma800142j (2008). Torrens, O.N., Zheng, M. and Kikkawa, J.M. Energy of K-momentum dark excitons in carbon nanotubes by optical spectroscopy. Phys. Rev. Lett. 101, 157401 (2008). Wang, A.Y., Leong, S., Liang, Y.C., Huang, R.C.C., Chen, C.S. and Yu, S.M. Immobilization of growth gactors on collagen scaffolds mediated by polyanionic collagen mimetic peptides and its effect on endothelial cell morphogenesis. Biomacromolecules 9, 2929-2936 (2008). Wang, F., Wang, G., Yang, S. and Li, C. Layer-by-layer assembly of aqueous dispersible, highly conductive poly (aniline-co-o-anisidine)/poly (sodium 4-styrenesulfonate)/MWNTs core–shell nanocomposites. Langmuir 24, 5825-5831 (2008). Wang, Y., Kim, S.G. and Chen, I.W. Control of strain relaxation in tensile and compressive oxide thin films. Acta Mater. 56, 5312-5321, doi:10.1016/j.actamat.2008.07.010 (2008). Weitz, D.A. and Janmey, P.A. The soft framework of the cellular machine. Proc. Natl. Acad. Sci. 105, 1105, doi:10.1073/pnas.0711639105 (2008). Wilson, D.A., Wilson, C.J., Rosen, B.M. and Percec, V. Two-step, one-pot Ni-catalyzed neopentylglycolborylation and complementary Pd/Ni-catalyzed cross-coupling with Aryl Halides, Mesylates, and Tosylates. Org. Lett. 10, 4879-4882, doi:10.1021/ol9027336 (2008). Xu, Y., Bunagan, M.R., Tang, J. and Gai, F. Probing the kinetic cooperativity of beta-sheet folding perpendicular to the strand direction. Biochem. 47, 2064-2070 (2008). Zhang, Y., Matsumoto, E.A., Peter, A., Lin, P.C., Kamien, R.D. and Yang, S. One-step nanoscale assembly of complex structures via harnessing of an elastic instability. Nano Lett. 8, 1192-1196, doi:10.1021/nl0801531 CCC: (2008). Zou, H., Therien, M.J. and Blasie, J.K. Structure and dynamics of an extended conjugated NLO chromophore within an amphiphilic 4-helix bundle peptide by molecular dynamics simulation. J. Phys. Chem. B 112, 1350-1357 (2008). Zou, T., Wang, X., Wang, H., Zhong, C., Li, L. and Chen, I.-W. Bulk dense fine-grain (1- x) BiScO–xPbTiO ceramics with high piezoelectric coefficient. Appl. Phys. Lett. 93, 192913 (2008). Budhian, A., Siegel, S.J. and Winey, K.I. Controlling the in vitro release profiles for a system of haloperidol-loaded PLGA nanoparticles. Intl. J. Pharmaceutics 346, 151-159, doi:10.1016/j.ijpharm.2007.06.01 (2008). Bonnell, D. Pushing resolution limits of functional imaging to probe atomic scale properties. ACS nano 2, 1753-1759, doi:10.1021/nn8005575 (2008). Kang, Y.K., Deria, P., Carroll, P.J. and Therien, M.J. Synthesis of water-soluble poly (p-phenyleneethynylene) in neat water under aerobic conditions via Suzuki-Miyaura polycondensation using a diborylethyne synthon. Org. Lett. 10, 1341-1344 (2008). Rabin, C., Liang, Y., Ehrlichman, R.S., Budhian, A., Metzger, K.L., Majewski-Tiedeken, C., Winey, K.I. and Siegel, S.J. In vitro and in vivo demonstration of risperidone implants in mice. Schizophrenia Research 98, 66-78, doi:10.1016/j.schres.2007.08.003 (2008). Williams, S.R., Borgerding, E.M., Layman, J.M., Wang, W., Winey, K.I. and Long, T.E. Synthesis and characterization of well-defined 12,12-ammonium ionenes: Evaluating mechanical properties as a function of molecular weight. Macromolecules 41, 5216-5222, doi:10.1021/ma8006152 (2008). Williams, S.R., Wang, W.Q., Winey, K.I. and Long, T.E. Synthesis and morphology of segmented poly(tetramethylene oxide)-based polyurethanes containing phosphonium salts. Macromolecules 41, 9072-9079, doi:10.1021/ma801942f (2008). Zhou, N.C., Chan, C.D. and Winey, K.I. Reconciling STEM and X-ray scattering data to determine the nanoscale ionic aggregate morphology in sulfonated polystyrene ionomers. Macromolecules 41, 6134-6140, doi:10.1021/ma800805m (2008).